For 2 1/2 SSD. We're confident in our goods and services. There's no problem that we cannot solve. Item is used and may have scuffs, scratches or signs of wear. Look at the pictures for details. Item is fully inspected and is in good condition. Item is pulled from a working unit. The Samsung NP700Z5B Hard Drive Laptop Caddy w/Screws has been graded A. This item is 100% tested, functional, and in very good condition. Robot Vacuum Parts. Used Robot Vacuums. Fans - Cooling Fans. The Samsung NP350E5C Hard Drive Laptop Caddy w/Screws has been graded A. This item is 100% tested, functional, and in very good condition. Robot Vacuum Parts. Used Robot Vacuums. Fans - Cooling Fans. The Samsung NP300E5Z Hard Drive Laptop Caddy w/Screws has been graded A. This item is 100% tested, functional, and in very good condition. Robot Vacuum Parts. Used Robot Vacuums. Fans - Cooling Fans. HARD DRIVER CADDY. GRADE C The product is in bad condition and wear a serious typical samples. HARD DRIVER. BACK COVER. GRADE A The product is in good condition and shows a minimun of use. DISPLAY CABLES. Samsung NP540U4E Hard Drive Caddy with Adapter Originally tested in a Samsung NP540U4E. Includes the caddy, screws and adapter. System pull. Condition :System Pull. Although we do the best we can to verify compatibility,ALWAYS double check that you are purchasing the right part foryour machine. The Samsung NP540U3C Hard Drive Laptop Caddy w/Screws has been graded A. This item is 100% tested, functional, and in very good condition. Robot Vacuum Parts. Used Robot Vacuums. Fans - Cooling Fans. Item is used and may have scuffs, scratches or signs of wear. Look at pictures for details. Item is fully tested and works great. Pulled from a working unit. Samsung NP530E5M Hard Drive Cover Originally tested in a Samsung NP530E5M. Does include the screw. System pull. Although we do the best we can to verify compatibility,ALWAYS double check that you are purchasing the right part foryour machine. 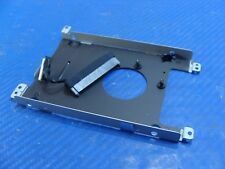 The Samsung NP-NC20 Hard Drive Caddy W/Screws has been graded A. This item is 100% tested, functional, and in very good condition. Fans - Cooling Fans. Hard Drive Caddys. Stylus Pens. Hinges and Support Brackets. Optical Drive For CD, DVD, DVD/CDRW, DVD /-RW optical drive. Drive Compatibility : Fit most drive and Panasonic UJ-840, UJ-850, UJ-870. (We believe in giving computers parts a second chance in life. All of our used parts are tested in working computers before they are listed here for sale. You may have other issues. 1) 99% of orders leave warehouse within 24 hours. 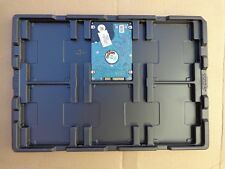 The Samsung Notebook NP300E4X Hard Drive Caddy w/ Screws has been graded A. This item is 100% tested, functional, and in very good condition. Robot Vacuum Parts. Used Robot Vacuums. Fans - Cooling Fans. For Sale: Samsung NP-QX410 14" Genuine Laptop HDD Hard Drive Caddy. Condition: Genuine part, Very Good condition. Actual item pictured. (We believe in giving computers parts a second chance in life. We will be happy to help you with a service advice. 1) 99% of orders leave warehouse within 24 hours. IMPORTANT TO READ THIS PART -. Samsung Notebook 7 Spin NP740U5L- Y02US 15.6". BA61-03129A HD Caddy fit: Samsung Notebook 7 Spin NP740U5M-X01US 15.6". New open box item in excellent condition with 4 hard drive screws including. Do not throw away anything! 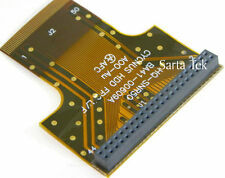 Samsung NP530E5M Hard Drive Caddy with Adapter Originally tested in a Samsung NP530E5M. Includes the caddy, screws and adapter. System pull. Condition :System Pull. Although we do the best we can to verify compatibility,ALWAYS double check that you are purchasing the right part foryour machine. 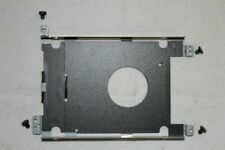 One piece of black DVD Drive Bezel Faceplate Bracket for Samsung NP300E5C Series. 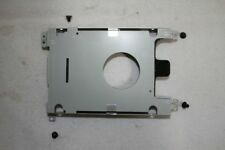 You will receive one dvd drive bezel faceplate one bracket one screw. CD/DVD Drive Not Included. Originally tested in a Samsung NP530E5M. Does include the screw. Although we do the best we can to verify compatibility,ALWAYS double check that you are purchasing the right part foryour machine. We have many more parts available!